Our products feature fresh meat and meat meal ingredients which are sourced from animals passed fit for human consumption by the CFIA. The fruits and vegetables used in our GO! SOLUTIONS, NOW FRESH dry and GATHER recipes also come from the human food chain (Save $5 off your first bag!). We do not, however, claim that these ingredients are “human-grade”; once an individual ingredient leaves a “human-grade” processing facility and enters a “pet food” processor, the ingredient loses its “human-grade” classification. Petcurean dry pet foods are produced in Ontario, Canada. Our canned products are primarily produced in Ontario, Canada and secondarily at a plant in New Jersey, USA. Our NOW FRESH stews and pâtés are made in Wisconsin, USA. 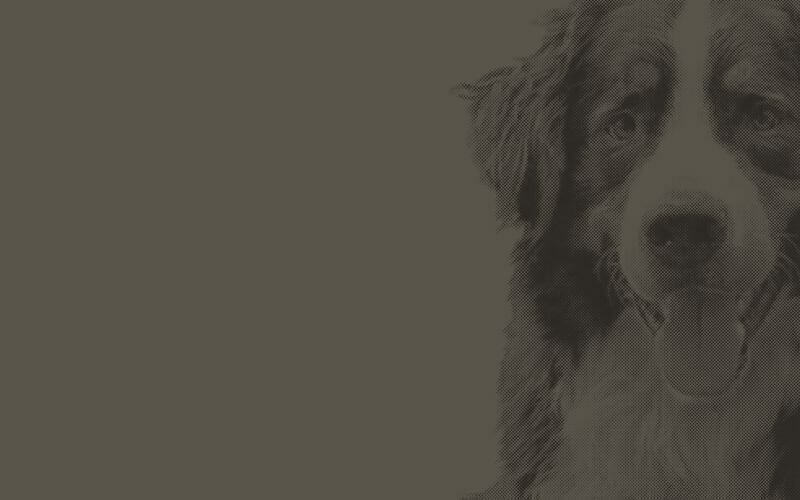 Our SPIKE Jerky treats are manufactured in Georgia, USA. Our GO! Meal Mixers are manufactured in British Columbia, Canada. No. Glutens from wheat and rice protein concentrate are an inferior source of protein and we prefer to use only premium sources of protein. Fresh meat is converted into a meat meal by a third party using a cooking process. This process removes the water from the meat and allows pet food manufacturers to add meat meal as a dry ingredient. 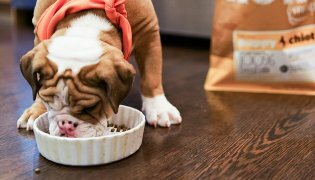 Meat meals are used in pet food to ensure a finished pet food kibble which is high in quality protein and more nutrient dense (since it takes 3 to 5 lbs of fresh meat to produce 1 pound of meal). In addition, meat meals have an increased shelf life as compared to fresh meat. 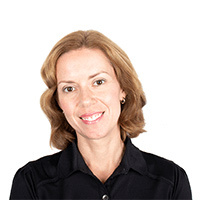 Other manufacturers may use preservatives such as ethoxyquin, BHA and BHT on meat between slaughter and the processing plant, which may not be listed on a food’s ingredient panel. 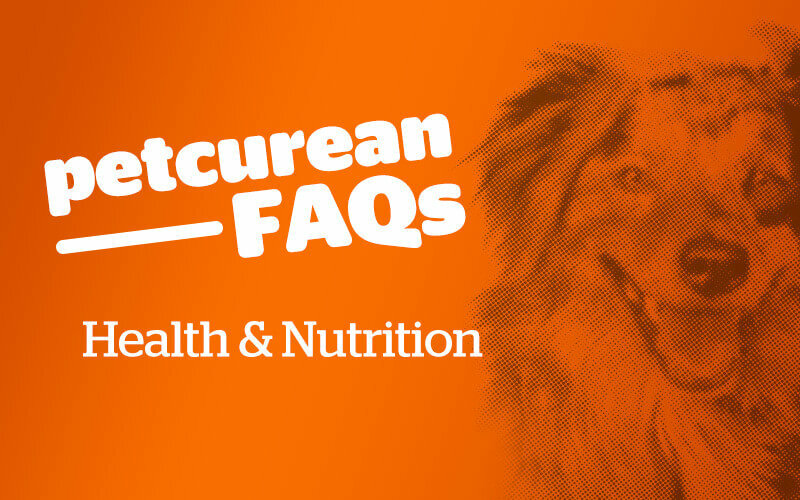 At Petcurean, however, we ensure all of our meat meals are not preserved with ethoxyquin, BHA or BHT between slaughter and processing and require all of our suppliers and partners to use natural preservatives (Vitamin E). Petcurean only uses ‘named’ meat meals (such as chicken meal) in our foods as these meals are of higher quality protein source and are made only from muscle meats and bone. Alternative meat meal sources (by-product meals* and un-named meat meals**) are inferior sources of protein and are not used by Petcurean. *By-product meals (such as poultry-by-product meal) may include unwanted ingredients such as beaks and feathers. **Un-named meat meals (such as poultry-meal) may include meats from many different unknown animal sources. What is dehydrated chicken or cod? Dehydrated meats are concentrated sources of protein and are less processed than meat meals. Unlike meat meals which are made by rendering, which first removes the fat through pressing and cooking, dehydrated meats are simply dried with no cooking or pressing involved. Dehydration uses the entire raw material and simply removes the water, not the fat. Why do some of your recipes use meat meals while others do not? GO! 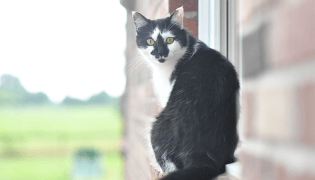 SOLUTIONS™ was created to be nutrient-rich and energy packed; a true fitness food for everyday dogs and cats, plus those with special dietary needs. GO! SOLUTIONS™ uses named meat meals (i.e. 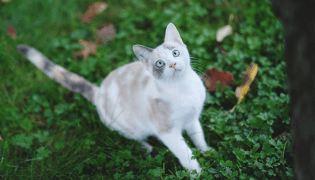 chicken meal or salmon meal), as a high-quality concentrated source of protein to ensure that your pet gets the most nutrients possible from the least amount of food. Is the poultry used in your recipes cage-free? What about steroid and hormone free? Yes. The use of hormones and steroids in the production of chicken is illegal in Canada and has been since the 1960’s. Our trusted network of farmers raise their poultry in open barns; the flocks are free roaming and have constant access to food and water. Is the fish used in your recipes tested for heavy metals such as mercury? Yes, we ensure that the fish we use in our recipes are tested for heavy metals before accepting them for processing at our plant. Why do you use Krill in your GATHER Wild Ocean and Free Acres recipes? We use Krill as it is an excellent source of the omega-3 fatty acids DHA & EPA to support heart and brain health. Plus, krill is considered to be at the bottom of the food chain, which limits their ability to accumulate heavy metals. Our producer partner is certified by the Marine Stewardship Council. The krill we use in GATHER is fished from the oceans surrounding Antarctica, using proprietary Eco-Harvesting™ technology which prevents by-catch. And, only 0.3% of Antarctica’s krill supply is harvested annually. For more information on krill read our blog here. GO! SOLUTIONS™, NOW FRESH™ and GATHER™ Products: All of the meat proteins, grains, cereals, fruits and vegetables in our GO! SOLUTIONS™, NOW FRESH™ and GATHER™ products are sourced from North America (as close to the production facility as possible) with the exception of our pasture raised lamb and grass fed venison which is sourced from Australia and New Zealand (from EU certified plants). We choose to partner with a trusted network of local farmers and ranchers who can provide us with the freshest and highest-quality product possible; this not only fulfills our requirement for freshness and nutritional integrity, but using local sources means less emissions polluting our air from long-distance trucking. SUMMIT™ products: All of the meat proteins, grains, cereals, fruits and vegetables in our SUMMIT™ products are sourced from North America (as close to the production facility as possible) with the exception of our lamb which is sourced from Australia and New Zealand (from an EU certified plant). All lamb is government and veterinarian inspected prior to entering Canada. Sometimes the colour and shape of the kibbles can vary. Why? 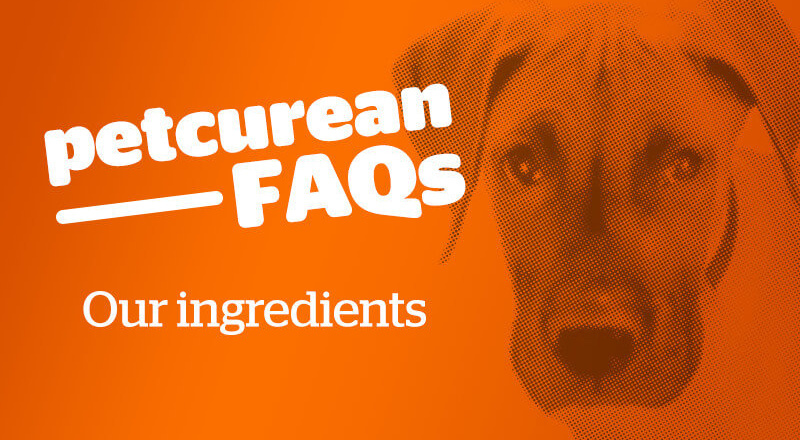 At Petcurean, we formulate our recipes using real food ingredients – the best of the best; and like real food that Mother Nature provides, the colour and texture of the ingredients going into our recipes varies. For example; Meat supply will vary between different suppliers and batches (e.g. dark meat vs. white meat). Also, diets with a higher meat content are denser and sometimes more difficult to extrude (versus cereal or grains) which leads to variance in the kibble shape. Oils, as they are applied, either outside of or inside the kibble, can affect the colour and the density (size) of the kibble. Oils also play a significant role in the palatability of the food. 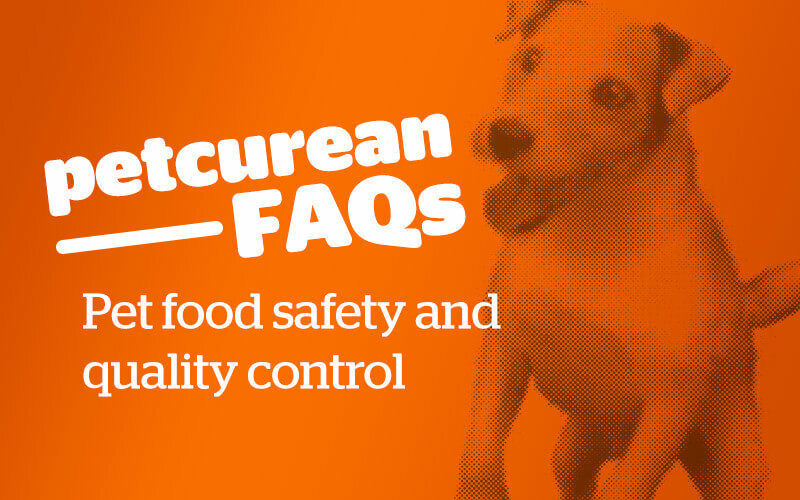 Finally, Petcurean does not use any artificial colours, flavours or preservatives, which also contributes to variances of the colour and texture.